Considering the real estate industry’s current obsession with tech companies, this number is surprising: a third of New York’s tech startups have never been contacted by a leasing agent, according to a new survey by real estate consulting firm RE:Tech. This may be because many of these startups are simply to small to appear on brokers’ radars, according to RE:Tech founder Ashkan Zandieh. “If a company doesn’t announce a funding round or is too small in size, many commercial real estate brokers will be uninformed about the startup,” he said, and may also shy away from spending time and resources building relationships with fledgling companies. Some brokerages have tried to tap into the startup boom. 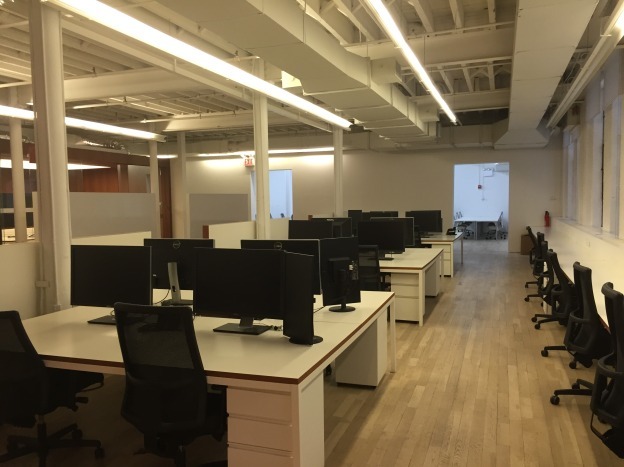 Earlier this month, tech-focused office brokerage TheSquareFoot teamed up with PivotDesk, which allows startups to sublease office space from larger companies. TheSquareFoot will refer startups looking to sublease to the shared-office platform, while PivotDesk can in turn refer firms looking to upgrade to regular leases to TheSquareFoot. Meanwhile, brokerage giant Avison Young invested in LiquidSpace, a listing platform for short-term office space. Still, the survey, which included responses from 50 New York startups, seems to indicate brokerages have a ways to go in their courtship of these companies. Brokers who forge an early connection with these startups stand to profit handsomely if the firms take off. Several real estate firms are among the fastest-growing tech startups in New York, attracting millions in venture funding. Less surprisingly, the survey found that the vast majority of tech startups favor flexible, short-term leases. About 80 percent of respondents said they favor a sublease over a lease. About 60 percent said their ideal lease term is between three and five years, while the remaining 40 percent preferred a lease term of between one and two years. None of the respondents were keen on five-year-plus lease. This entry was posted in Manhattan Office Lease Consultants, Manhattan Office Space, New York Office Space, NY Office Space, NYC Office Lease, NYC Office Space, NYC Office Sublet, NYC Real Estate Advisors, Office Space for Rent Manhattan, Office Space for Rent New York City, Office Space for Rent NY, Office Space for Rent NYC, Wharton Property Advisors and tagged nyc office lease, nyc office lease advisors, NYC Office Space, ruth colp haber, Wharton Property Advisors on August 31, 2015 by NYC Office Space. When Ruth Colp-Haber established Wharton Property Advisors in 1992, she was a company of one. Now, 23 years later, the team has grown to six, yet Ms. Colp-Haber continues to oversee every transaction, something presidents of larger firms are generally unable to do. 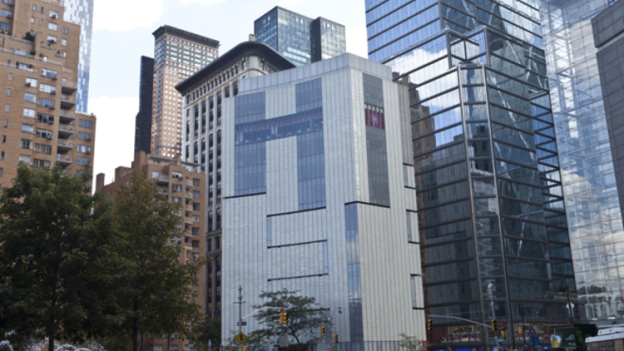 Wharton specializes in high-end, pre-built spaces, mostly in Manhattan. Ms. Colp-Haber has always believed that pre-built, turnkey spaces provide the best value in the market: All of the work has already been done. “The money that would go into construction on the space can instead be given to the tenant in rent concessions,” she said. Recently Wharton represented The Argentum Group, a private equity firm, in renegotiating their lease for 6,000 square feet at 60 Madison Avenue. The asking rent was $78 per square foot. Last month Wharton closed a deal for a 3,000-square-foot turnkey space in The Empire State Building (350 Fifth Avenue) for Coalition, a financial firm based in the U.K. Asking rent was $62 per square foot. “Small becomes big. You do a good job and you get more work,” she said. 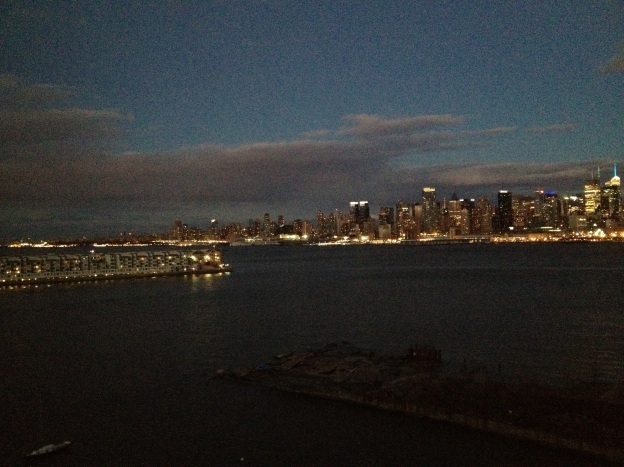 That said, small does not have to become too big to succeed.—S.P. This entry was posted in Manhattan Office Lease Consultants, Manhattan Office Space, New York Office Space, NY Office Space, NYC Office Lease, NYC Office Space, NYC Office Sublet, NYC Real Estate Advisors, Office Space for Rent Manhattan, Office Space for Rent New York City, Office Space for Rent NY, Office Space for Rent NYC, Wharton Property Advisors and tagged Wharton Property Advisors on July 28, 2015 by NYC Office Space. Cliff Bollmann is one of the world’s leading airport architects. He designed the spiffy JetBlue terminal at John F. Kennedy International Airport and worked on others in San Francisco, Boston and Chennai, India. He knows exactly how far bathrooms can be situated from gates so passengers don’t miss the last call for their flight. 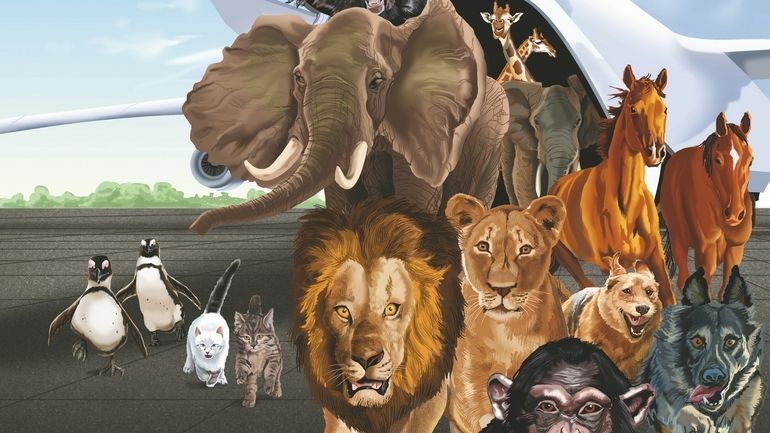 But this international-airport expert is bit befuddled by the plumbing involved in his current assignment: designing a terminal at JFK called the Ark, dedicated to serving pets, livestock and zoo animals. For Mr. Bollmann, the question is: How to handle all the bull poop? In addition to giving temporary shelter to furry and feathered friends in transit, the Ark is designed to house dozens of horses, as well as up to 180 head of cattle that are capable of producing 5,000 pounds of poop every day. This entry was posted in Manhattan Office Lease Consultants, Manhattan Office Space, New York Office Space, NY Office Space, NYC Office Lease, NYC Office Space, NYC Office Sublet, NYC Real Estate Advisors, Office Space for Rent Manhattan, Office Space for Rent New York City, Office Space for Rent NY, Office Space for Rent NYC, Wharton Property Advisors on July 15, 2015 by NYC Office Space. The developer is asking up to $175 per square foot for space at the new development. Editor’s Note: An earlier version of this article and the headline incorrectly stated that some office tenants will have access to the high-end amenities that are being constructed for residents at the adjacent condo at 432 Park Ave. The tallest residential tower in the Western Hemisphere, 432 Park Ave., has attracted some of the world’s richest condo buyers. Now the project’s developer, Harry Macklowe, is planning to bring deep-pocketed office tenants to the ultraluxury project. 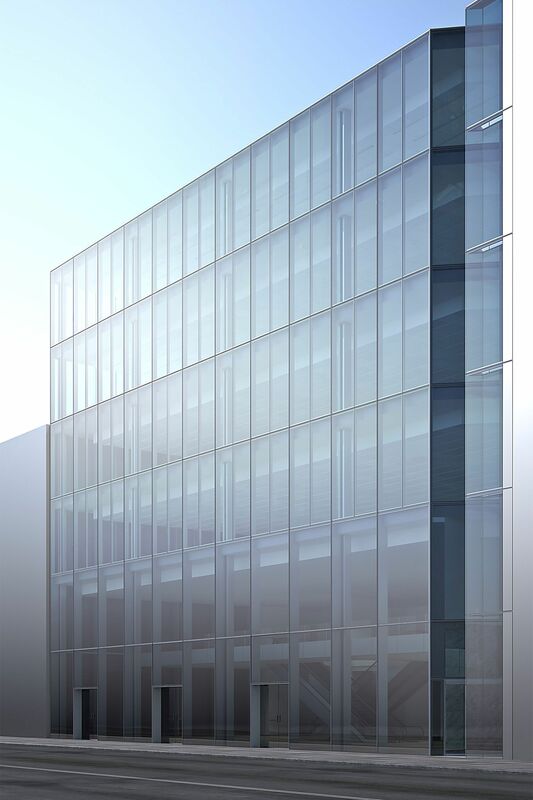 Attached to the 1,400-foot-tall pencil-thin tower will be a six-story, 71,000-square-footoffice building facing East 57th Street. The cube-like structure will go by the same 432 Park Ave. address as the residential tower, which it abuts. Asking rents at the luxury commercial building will be among the highest in the city—starting at $150 per square foot and running as high as $175 per square foot for its top floor, which will feature a 1,600-square-foot glass penthouse that connects to a 5,000-square-foot outdoor roof deck. “The tenants who choose to locate their offices at 432 Park will likely be high-end financial companies, well-heeled family offices and luxury brands,” said Paul Amrich, a broker at CBRE Group who was hired by Mr. Macklowe to lease the office space. Mr. Macklowe developed the residential tower at 432 Park Ave. in partnership with Los Angeles-based real estate investment firm CIM, but he owns the office and retail components of the project alone. In addition to the office space, 432 Park Ave. will have 58,500 square feet of retail. 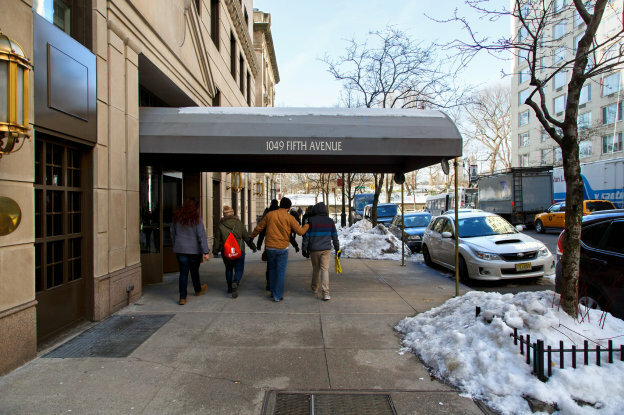 The retail will be located in the 127 feet of ground-floor frontage along East 57th Street, one of the city’s most luxurious shopping corridors. One block away, Mr. Macklowe is also constructing a dedicated glass retail box, with below-grade retail space, on the corner of East 56th Street and Park Avenue. This entry was posted in Manhattan Office Lease Consultants, Manhattan Office Space, New York Office Space, NY Office Space, NYC Office Lease, NYC Office Space, NYC Office Sublet, NYC Real Estate Advisors, Office Space for Rent Manhattan, Office Space for Rent New York City, Office Space for Rent NY, Office Space for Rent NYC, Wharton Property Advisors and tagged manhattan lease consultants, manhattan office space advisors, manhattan office space consultants, nyc office lease advisors, nyc office space consultants, nyc office sublease advisors, nyc office sublease consultatns, Wharton Property Advisors on June 24, 2015 by NYC Office Space. 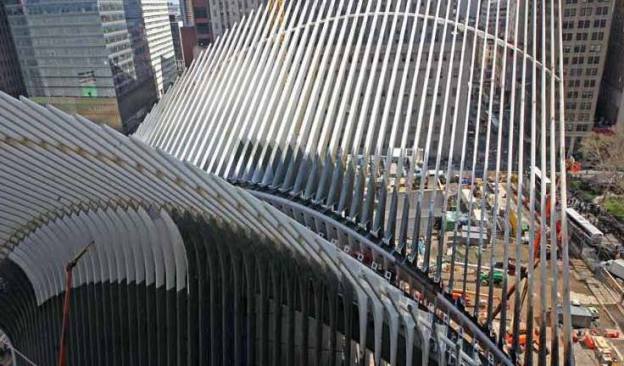 The architecturally controversial WTC transportation hub designed by Santiago Calatrava is set to open next month. This entry was posted in Manhattan Office Space, New York Office Space, NY Office Space, NYC Office Lease, NYC Office Space, NYC Office Sublet, Office Space for Rent Manhattan, Office Space for Rent New York City, Office Space for Rent NY, Office Space for Rent NYC and tagged commercial office space, commercial real estate, corporate office space, Manhattan Office Space, Midtown office space, prestigious office space, prime office space, sublease space, Wharton Property Advisors on May 7, 2015 by NYC Office Space. As the average amount of space per office worker has dropped, the dynamic in the office environment has changed. This entry was posted in Manhattan Office Space, New York Office Space, NY Office Space, NYC Office Lease, NYC Office Space, NYC Office Sublet, Office Space for Rent Manhattan, Office Space for Rent New York City, Office Space for Rent NY, Office Space for Rent NYC and tagged broker dealer space, bullpen space, Central Park views, commercial office space, commercial real estate, corporate office space, Downtown office space, East 40s office space, East 50s office space, East Side office space, Grand Central office space, Great Office Buildings, hedge fund office spaces, hedge fund space, Manhattan Office Space, Midtown office space, NYC Office Chronicle, NYC Office Space, office buildings, Office Space Manhattan, Office Space NYC, Penn Station office space, Plaza District office space, prestigious office space, prime office space, sublease space, Times Square office space, trading floors, trophy office space, West 40s office space, West 50s office space, West Side office space, Wharton Property Advisors on March 20, 2015 by NYC Office Space. 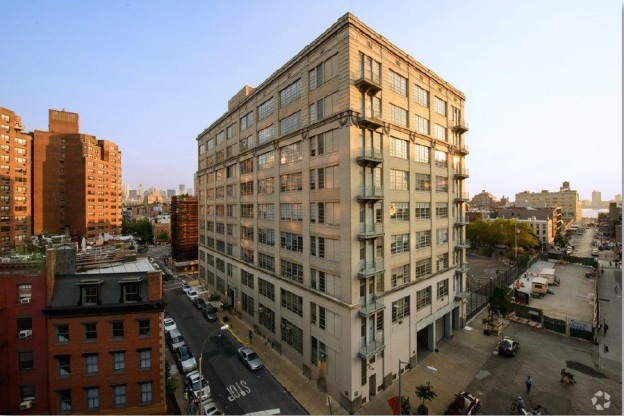 Nearly 70 years after buying a building in Manhattan’s grimy meatpacking district, the landlord has just cut a deal for the penthouse at a very tasty rent. This entry was posted in Manhattan Office Space, New York Office Space, NY Office Space, NYC Office Lease, NYC Office Space, NYC Office Sublet, Office Space for Rent Manhattan, Office Space for Rent New York City, Office Space for Rent NY, Office Space for Rent NYC, Uncategorized and tagged broker dealer space, bullpen space, Central Park views, commercial office space, commercial real estate, corporate office space, Downtown office space, East 40s office space, East 50s office space, East Side office space, Grand Central office space, Great Office Buildings, hedge fund office spaces, hedge fund space, Manhattan Office Space, Midtown office space, NYC Office Chronicle, NYC Office Space, office buildings, Office Space Manhattan, Office Space NY, Office Space NYC, Penn Station office space, Plaza District office space, prestigious office space, prime office space, sublease space, Times Square office space, trading floors, trophy office space, West 40s office space, West 50s office space, West Side office space, Wharton Property Advisors on February 19, 2015 by NYC Office Space. How do you get a Park Avenue address? Location, location, location. Developers do what they can to get their projects a prestigious address. This New York Times article reveals some ways to turn a project into a prestigious Park Avenue address. This entry was posted in Manhattan Office Space, New York Office Space, NY Office Space, NYC Office Lease, NYC Office Space, NYC Office Sublet, Office Space for Rent Manhattan, Office Space for Rent New York City, Office Space for Rent NY, Office Space for Rent NYC, Uncategorized and tagged broker dealer space, bullpen space, Central Park views, commercial office space, commercial real estate, corporate office space, Downtown office space, East 40s office space, East 50s office space, East Side office space, Grand Central office space, Great Office Buildings, hedge fund office spaces, hedge fund space, Manhattan Office Space, Midtown office space, NYC Office Chronicle, office buildings, Office Space Manhattan, Office Space NY, Office Space NYC, Penn Station office space, Plaza District office space, prestigious office space, prime office space, sublease space, Times Square office space, trading floors, trophy office space, West 40s office space, West 50s office space, West Side office space, Wharton Property Advisors on February 17, 2015 by NYC Office Space. This entry was posted in Manhattan Office Space, New York Office Space, NY Office Space, NYC Office Lease, NYC Office Space, NYC Office Sublet, Office Space for Rent Manhattan, Office Space for Rent New York City, Office Space for Rent NY, Office Space for Rent NYC, Uncategorized and tagged broker dealer space, bullpen space, Central Park views, commercial office space, commercial real estate, corporate office space, Downtown office space, East 40s office space, East 50s office space, Grand Central office space, Great Office Buildings, hedge fund office spaces, hedge fund space, Manhattan Office Space, Midtown office space, NYC Office Chronicle, NYC Office Space, office buildings, Office Space Manhattan, Office Space NY, Office Space NYC, Penn Station office space, Plaza District office space, prestigious office space, prime office space, sublease space, Times Square office space, trading floors, trophy office space, West 40s office space, West 50s office space, West Side office space, Wharton Property Advisors on February 12, 2015 by NYC Office Space. Office leasing in Manhattan ended 2014 strong. The borough’s vacancy rate dropped to 9.5%. This entry was posted in Manhattan Office Space, New York Office Space, NY Office Space, NYC Office Lease, NYC Office Space, NYC Office Sublet, Office Space for Rent Manhattan, Office Space for Rent New York City, Office Space for Rent NY, Office Space for Rent NYC, Uncategorized and tagged broker dealer space, bullpen space, Central Park views, commercial office space, commercial real estate, corporate office space, Downtown office space, East 40s office space, East 50s office space, East Side office space, Grand Central office space, Great Office Buildings, hedge fund office spaces, hedge fund space, Manhattan Office Space, Midtown office space, NYC Office Chronicle, NYC Office Space, office buildings, Office Space Manhattan, Office Space NY, Office Space NYC, Penn Station office space, Plaza District office space, prestigious office space, prime office space, sublease space, Times Square office space, trading floors, trophy office space, West 40s office space, West 50s office space, West Side office space, Wharton Property Advisors on January 6, 2015 by NYC Office Space.